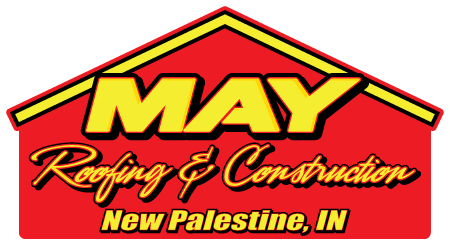 May Roofing has proudly been serving the following areas since 1963: Greenfield, New Palestine, Fountaintown, Morristown, Shelbyville, Fortville, McCordsville, Cumberland and Indianapolis. Wayne May has been around roofing as long as he can remember. Wayne’s father, John May, started his roofing business in Hancock County in 1963 and Wayne started helping his dad as soon as he was old enough to climb a ladder. The May family prides itself on quality work. Wayne and his wife Lori have two sons, Kyle and Collin, who attend New Palestine schools. The Mays are involved in their sons’ sporting activities. 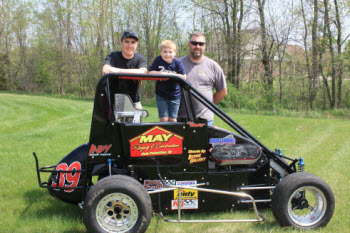 They are especially involved in Kyle’s hobby, racing TQ Midget cars. Wayne prides himself on quality roof work and excellent customer service. He will go above and beyond to please his customers. Wayne is a longtime Hancock County resident and will always be available for his customers. May Roofing is founded on trust, integrity and respect.